This can be a grey area for a lot of land owners but it doesn’t have to be. 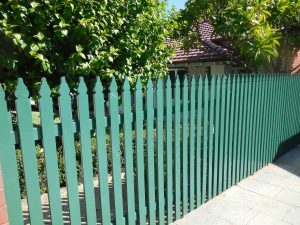 Knowing your rights and that of your neighbours when installing a dividing fence makes the process a more pleasant experience and you may even make new friends. What is a dividing fence? A dividing fence separates the land of difference owners whether the fence is on the common boundary of adjoining lands or on a line other than the common boundary. This doesn’t apply to government owned land however if your property adjoins such land as a public road or path under the control of local governments, you have to pay the full cost of the dividing fence. Owners may decide what is wanted as long as it doesn’t conflict with local laws. 1) Discuss your proposal with your neighbour/s. Should you be intending your neighbour/s pay for half of the costs for the new fence, you should give your proposal to your neighbour in writing, delivered by hand or by registered post. Obtain 1-3 quotes for your neighbour to review – don’t always go for the cheapest! – and perhaps provide a copy of the “Dividing Fences a guide” booklet, which is available from the Department of Commerce. If your neighbour and you do not see eye to eye, you may wish to seek an independent mediator (check the internet for Mediators in your area). 2) The adjoining owner has 21 days to respond to your proposal and if in dispute, the matter can be referred to the Magistrates Court nearest to you. Either owner may make the application to the Magistrates Court. 3) Be prepared to pay the the entire fence yourself. If you really want a new fence and your neighbour isn’t in a position to contribute financially but is not opposed to you taking on the project yourself, then this may be the only option. How much will a dividing fence cost? How long is a piece of string? There is no way to determine a value as every block of land is different. It’s best to obtain a few quotes and compare beans for beans meaning your quotes from various contractors should be for the exact same materials, length, height and installation method (e.g. retaining wall or no retaining wall). Choose the contractor you feel will do the job professionally and one which you feel confident using. You and your neighbour/s want the same thing – to protect their property and privacy. • To help all parties, obtain a copy of and read the “Dividing Fences a guide” booklet. • Where it is not practical to erect a dividing fence due to a boundary wall the Building Act provides for a reasonable standard of finish on the outward facing side of the wall. • An adjoining owner is not permitted to paint, render or attach anything (such as pot plants, clotheslines and basketball hoops) to the wall without the permission of the owner of the wall. It is suggested that any such permission be in writing and retained for future reference. • Situations may arise where a property owner wishes to construct a fence on their own land adjacent to an existing dividing fence. The Act does not prevent this second fence from being erected, however, it is recommended that you contact your local government to find out whether it has any restrictions on structures of this type. • The adjoining owner may still seek your contribution for maintaining the existing dividing fence, even where you erect a second fence on your property adjacent to it. • Any substantial structure built along a boundary is likely to require planning approval and a building permit issued prior to construction. This is particularly the case for retaining walls, walls that form part of buildings, unusually high fences or fences made from unusual materials. There are resources out there to help you when negotiating a dividing fence with your neighbour however the most important thing is to keep calm and on good terms with your neighbours. In the end, the fence will benefit everyone. ‹ Patio or Pergola. What is the difference?